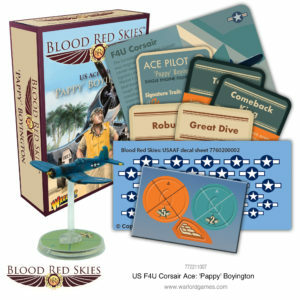 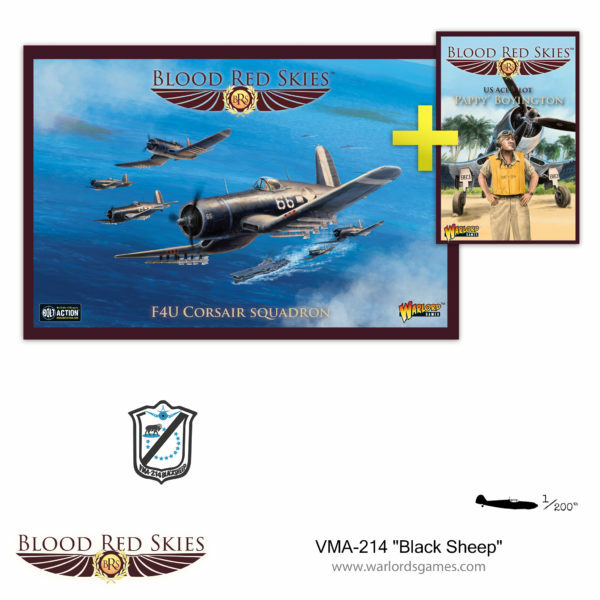 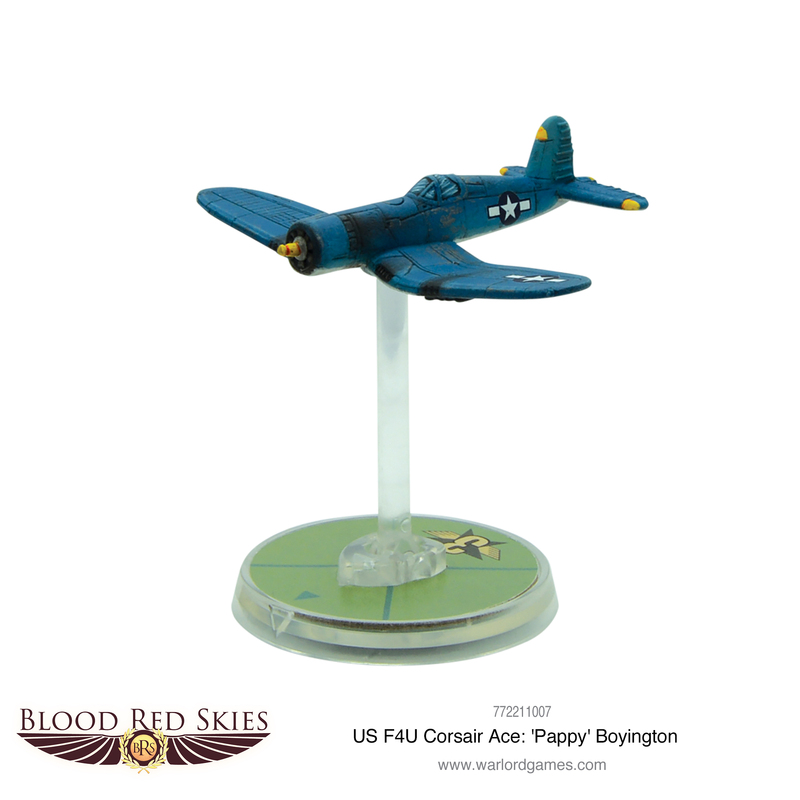 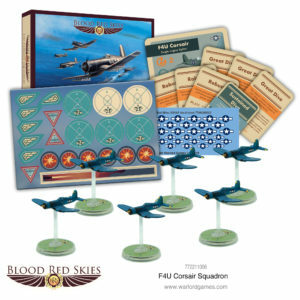 Marine Attack Squadron 214 (VMA-214) known as the “Black Sheep” Corsair Squadron is about to reach the Pacific theatre in blood red skies! 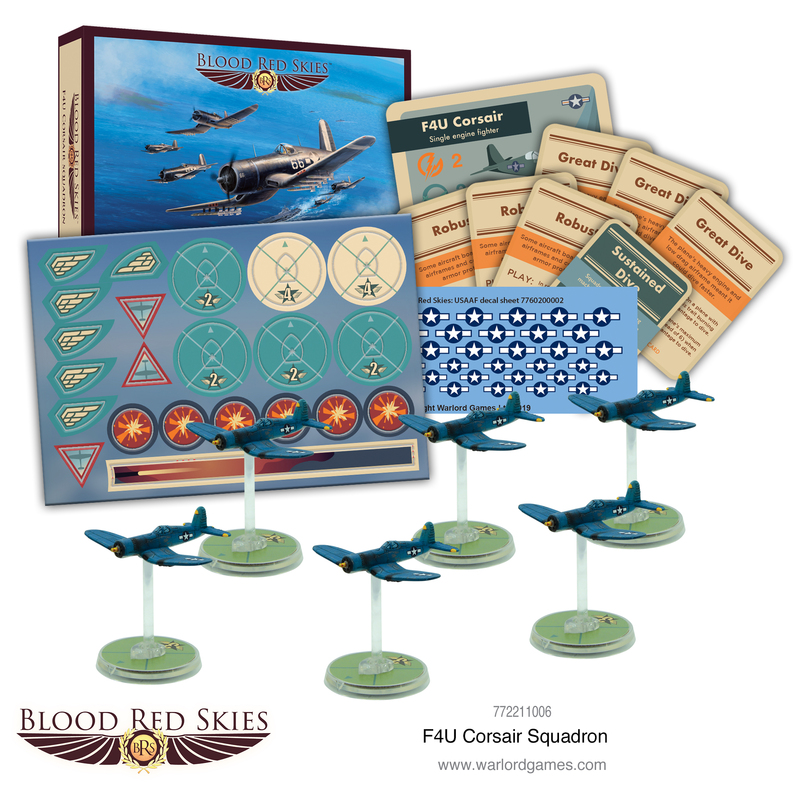 The Black Sheep fought for 84 days and piled up a record of 203 Japanese planes destroyed or damaged, produced nine fighter aces with 97 confirmed air-to-air kills, sank several troop transports and supply ships, destroyed many installations, in addition to numerous other victories. For their actions, the original Black Sheep were awarded the Presidential Unit Citation for extraordinary heroism in action.